You could have added a reference back to the source where you got these pictures ;) Me. Stairways to Heaven @ Litux. 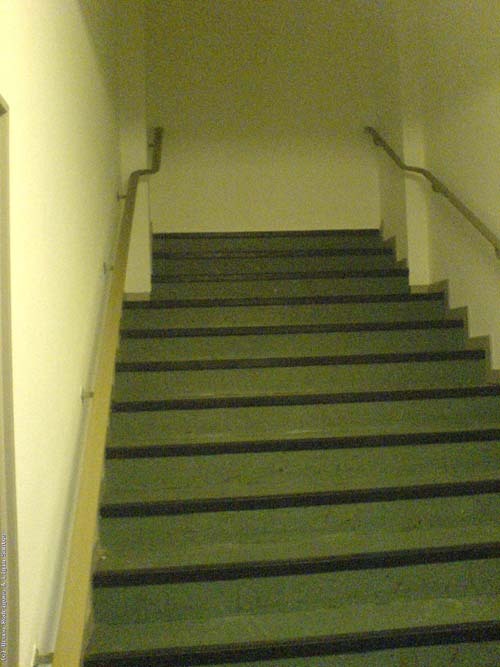 Indeed these stairs takes you to… nowhere! These are two buildings together (as in two square ‘U’ buildings top to each other, like <>), but one of those buildings has higher floors than the other one (thus one has 5 floors and the other has 4, but both have the same total height). This stairs are on one of those floors that don’t match the other building. I appologize. Didn’t have the source site, picture was emailed to me. I will include your source imediately! Thnks for feedback. Comments work, just need to be approved first by me to fight spam. If you have more simmilar pictures you think could count as optical illusions, feel free to send them to me and each time I’ll include our link and hopefuly send you much traffic! ok now for the 11th time AND THIS IS AN ILLUSION HOW??????????? did you run out of REAL illusions, so you had to FAKE one, or something? I heard of some creepy house, somewhere, on Ripley’s, with some ridiculous number of staircases like this one that lead into walls and trapdoors that go nowhere and stuff, it’s really creepy stuff. maybe this picture is somewhere in that house? Either way she was a believer and she let build on the house for 38 years continously. She was afraid of the ghosts of the people that were killed by Winchester Rifles. She beieved they took her husband. what? this is not an optical illusion. 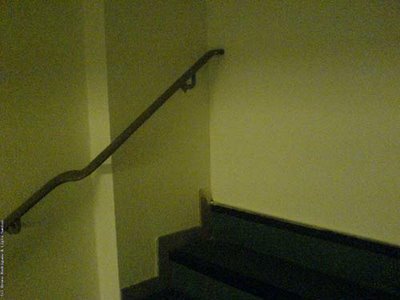 it’s just stairs ending at a wall. The point of this is that it’s not an illusion. If you do some research, you’ll find that there are some old homes out there biult with stairs to no where, trap or hidden doors and doors to solid walls. Just gives you some insight to the mind of the builder. Ahhh! the staircase to NARNIA! This just looks like a staircase with a wall at the end mate, your defintely no Escher (yet) try harder! 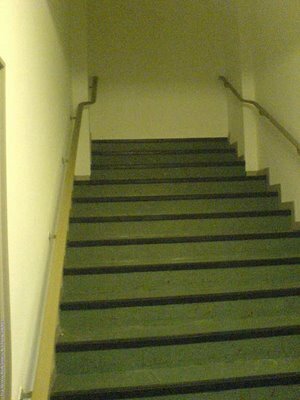 what is the point of that staircase? This may be (or may not be) in the Jewish History Museum in Berlin. Anyway, they have a similar “feature”. Of course the intent is to symbolize the abrupt termination of Jewish culture in Germany during the holocaust. They also have an art gallery that is completely empty, symbolizing all the works of art that were never created by holocaust victims and their unborn descendants. When you walk into that space you think, “Oh, they’re getting ready to put in an exhibit”. When you find out that, in fact, the “exhibit” is complete as-is, it knocks you over. At least it did me.